Homemade Potato Pancakes Served With Sour Cream And Brown Sugar From Cane On Wooden Board. Royalty Free Fotografie A Reklamní Fotografie. Image 45630131. 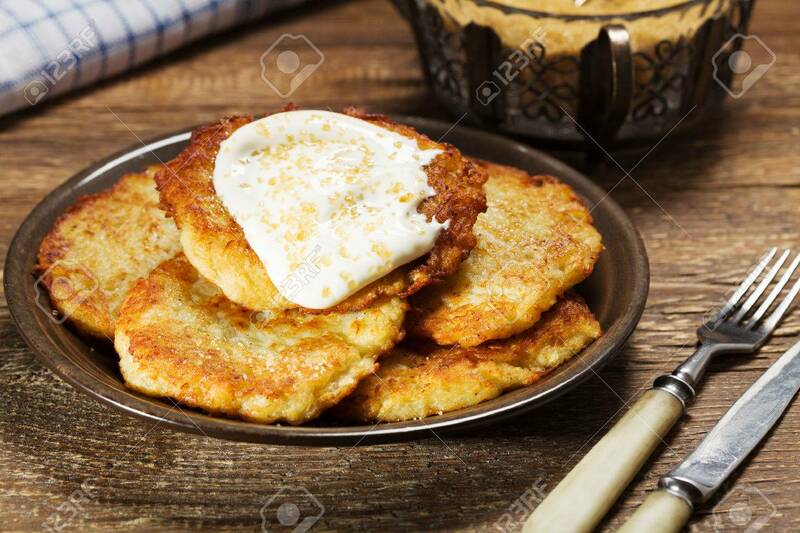 Reklamní fotografie - Homemade potato pancakes served with sour cream and brown sugar from cane on wooden board. Homemade potato pancakes served with sour cream and brown sugar from cane on wooden board.